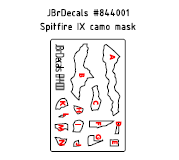 Camouflage painting masks cut from vinyl masking foil. 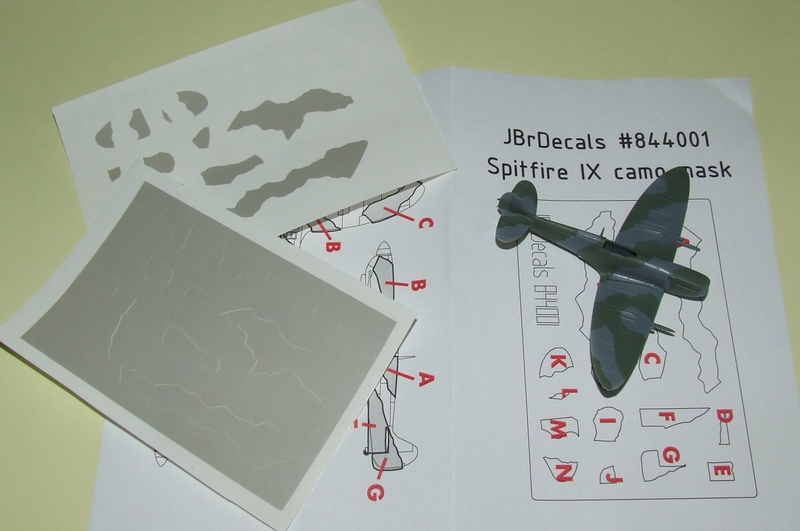 Designed for the Eduard 1/144 scale Spitfire IX kit they can be used for easy application of British camouflage pattern. They can be reused multiple times if handled carefully.